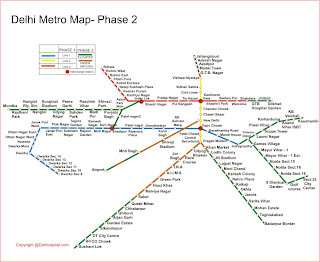 Delhi has been an imperial capital for the most part of the thousand years. Successive rulers bestowed on the city a variety of monuments. These nwere either the houses of gods or the houses of the kings. Every monument was shaped, often literally, by the character, choices and constraints of the ruler. each of these brought completely new features to the landscape of the Indian architecture. 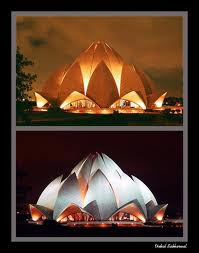 Lotus Temple is one amongst the most famous places in delhi.Lotus Temple is also Konown as Baha'i Temple in Delhi is often compared to the Sydney Opera House.Lotus Temple has emerged as a top attraction for the tourists. Lotus Temple also known as the Baha'i Temple. 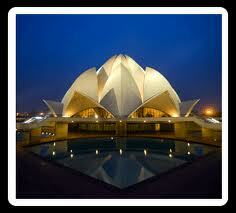 Baha'i Temple is a major feature of Delhi and is well known for its appearance. There is no doubt that in years to come the temple will prove to be a mecca for the visitors. Baha'ism is considered to be a syncretism of the nine great religions of the world and traces its genesis to its prophet Baha'ullah, born in Persia in the twentieth century. 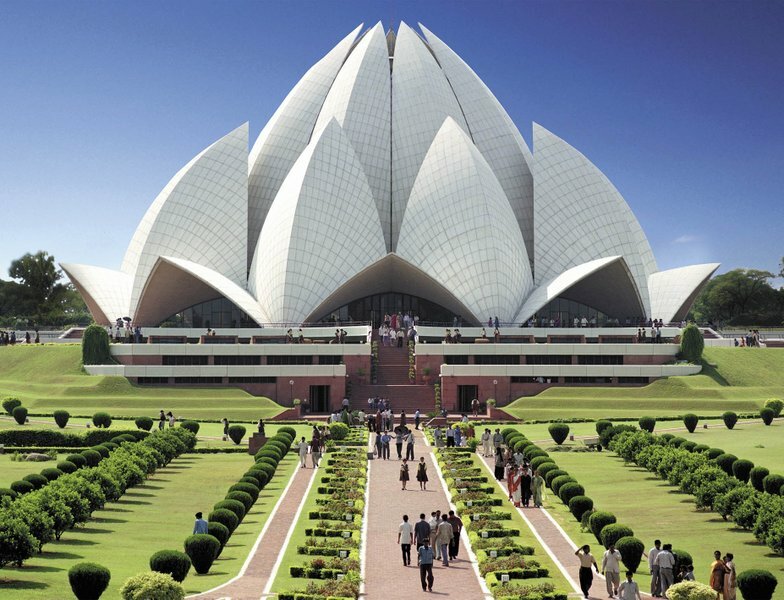 Personifying Lotus in the temple does not merely mean giving a lotus shape to the edifice but it has a message to the people of India in the form of a manifestation from the almighty. Lotus is a symbol of peace, purity, love and immortality. It is this particular specialty of Lotus flower which makes the flower an important icon in Indian culture and society. 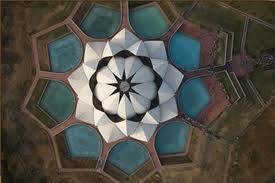 This is why the design of Lotus temple has been inspired by lotus flower. 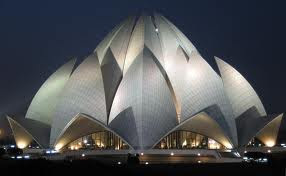 The design looks like a half opened Lotus flower with 27 freestanding "petals" made of marble. 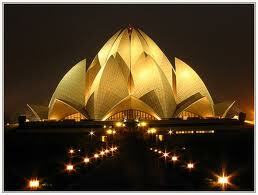 The architect, while designing the temple took into account the eternal beauty of Lotus flower. The construction work took almost 10 years before it finally got shape and was open for public. The team comprised of 800 engineers, technicians, workers and artisans who worked diligently to give realization to one of the most complex edifices in the world. 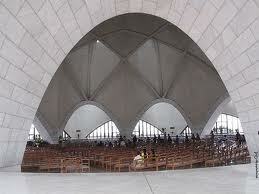 The temple integrates the aesthetic values along with the technological influence within the whole structure. There are nine reflecting pools that encompass the temple from outside. Converting the geometry of the design that did not have any straight line to the actual structure needed a lot of effort and dedicated engineering. The temple has the capacity to accommodate nearly 2500 people and has nine doors that open in a central hall. 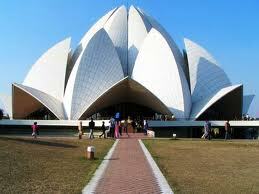 The whole structure is made of white marble that adds to the glory of the temple. 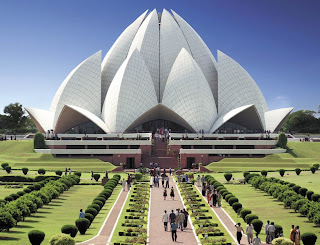 It is about 40 meters tall surrounded by nine ponds and appears as if the temple is floating like a Lotus flower in water.Bahá'í Houses of Worship, the Lotus Temple is open to all regardless of religion, or any other distinction, as emphasized in Bahá'í texts. The Bahá'í laws emphasize that the spirit of the House of Worship be that it is a gathering place where people of all religions may worship God without denominational restrictions.The Bahá'í laws also stipulate that only the holy scriptures of the Bahá'í Faith and other religions can be read or chanted inside in any language; while readings and prayers can be set to music by choirs, no musical instruments can be played inside. Visiting Hours :- On all days except Monday. 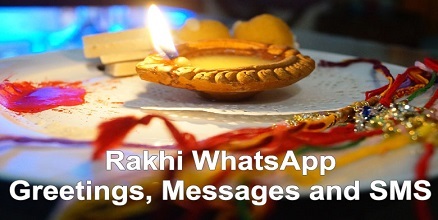 Summer Timings :- 9:00 a.m. to 7:00 p.m.
Winter Timings :- 9:30 a.m. to 5:30 p.m.
Time Required :- App. 1 hours. This Temple has no Idols of any Deity and God. 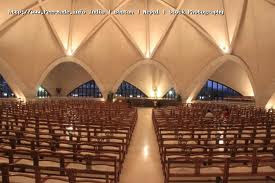 Has a Prayers Hall for Meditation for Faith of all Religions. Unique Prayer Sessions that Recite Teachings From All the Religions. Approximately 2 hours. 1000 hrs - 1015 hrs , 1200 hrs - 1215 hrs, 1500 hrs - 1515 hrs, 1700 hrs - 1715 hrs. There are four Prayer Sessions everyday. These Prayer Sessions are unique, as prayers from all religions are recited during these Prayer Sessions. Prayer Session Timings: 1000 hrs - 1015 hrs (15 minutes), 1200 hrs - 1215 hrs (15 minutes), 1500 hrs - 1515 hrs (15 minutes), 1700 hrs - 1715 hrs (15 minutes).